Dense jungles, brooding mountains, endless waterways, towering cliffs, and hairpin bends: the potential for adrenalin fuelled adventure is limitless in Vietnam. Whether you prefer to scale the heights of jagged peaks or plumb the depths of coral reefs, Vietnam will deliver something special. Just being here is one long adventure, but these experiences will take it to a whole new level. Use paddle power to explore this incredible forest of karsts that jut out of the South China Sea like stone sentinels. Kayak where other boats cannot, such as into hide caves and secret lagoons, and will reveal to you the very best of the bay. OK, so it’s not Mt Everest, but at 3143m, it is the highest peak in the country. Meet some of the minority peoples on the trek before tackling the elements to arrive on the roof of Vietnam. 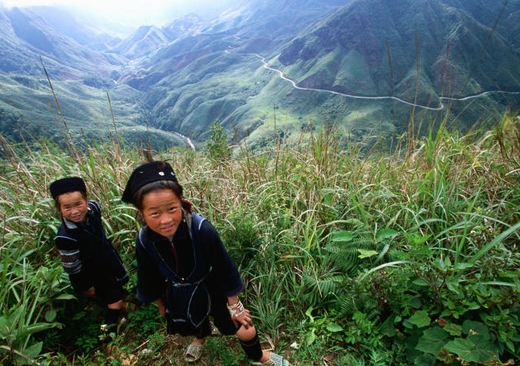 Ethnic Black H'mong girls at Tram Ton Pass in northern Vietnam. Saddle up for the ride of a lifetime in the mountains of Vietnam’s deep north. The roads are absolute rollercoaster, the scenery is simply stunning. Forget about those newfangled engines and pedal through the back roads of the Mekong Delta – a patchwork of emerald greens. Stick to the roads less traveled or jump on the odd boat or two for the full Mekong experience. See Vietnam from a different angle by scuba diving off its curvaceous coast. Tank up, buddy down and explore the reefs off Nha Trang. Other options are Phu Quoc Island or, the final frontier, Con Dao. If all that underwater stuff sounds too deep, then float above it all with something more carefree like kite surfing. Mui Ne is the unashamed kite surfing capital, but the sport is (literally) taking off, up and down the coast. 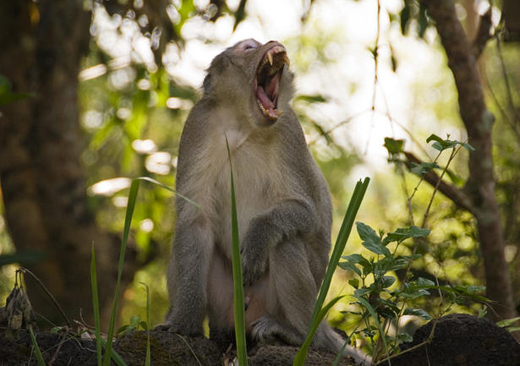 Vietnam’s jungle is massive – well at least in some of the protected areas. Track shy wildlife, hike to hidden waterfalls or mountain-bike down paths less traveled in one of the country’s remote national parks, such as magnificent Cat Tien.